We embrace strong doctor-patient-client relationships to ensure open communication and understanding of your pet's individual needs. Our staff is passionate and continuously learns with advances in modern veterinary medicine. 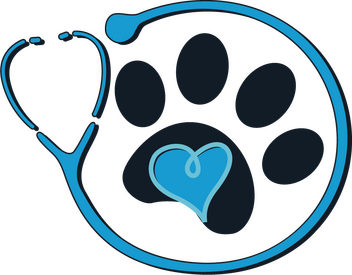 We strive to provide professional, affordable, and excellent veterinary services. Dr. Hartley is a 2006 graduate from Auburn University College of Veterinary Medicine. She obtained her undergraduate degree in Math and Sciences at Auburn University. She has special interest in oncology, internal medicine, ophthalmology and surgery. She is President of Miracle Strip Veterinary Medical Society, which is a group of local veterinarians that meet monthly to stay connected and provide continuing education for veterinarians. She is also a member of the Florida Veterinary Medical Association, Emerald Coast Junior League, AAHA, and Feline Practitioners. Dr. Jessie is originally from the Chicagoland area. She was attending Purdue University in pursuit of an undergrad degree in Biology, when she was accepted a year early to attend the university of Illinois, College of Veterinary Medicine. She initially wanted to pursue a career in zoo animal medicine. However, while in school she quickly realized how much she values the relationships that develop between a client and their veterinarian and how much she enjoys being apart of that special bond between a client and their pet, leading to her career in companion animal medicine. "Drs. Epperson and Hartley have been our doctors for years, and they are wonderful! They and their staff have seen us through many crises and have always been caring, sensitive, thorough, professional, knowledgeable, and in all ways, the best!" "Best boarding center in the area! All of the staff seem very educated, helpful, and friendly. They really seem to care about your pets! Usually when I walk into a boarding center, it does not smell very nice. But I couldn't believe how clean everything smelled and looked! Very professional! We are new to the area and will definitely be using their veterinary services as well in the future!" "I honestly cannot say enough good things about Companion Animal Hospital and the staff. My dog had a horrible allergy problem that nobody could diagnose for 2 years until a friend of mine recommended I go to Companion. Dr. Epperson actually took the time to look at my dog's lengthy medical file and after seeing him and running some blood work was able to diagnose his problem and get him on a healthy happy track. All of the staff there are friendly and care about every animal and owner that walk through their doors. It's the Cheers of the veterinarian world! I recommend them to every one I meet! I've said on several occasions that if I ever move I will fly my dog and I back here just so he can keep seeing Dr. Epperson! If I could give more than 5 stars I would"
"We love our Vet! They have taken care of our cats and dogs like they were their own. They treat us like family. They answer all of our questions and concerns. Best folks around." "I can not say enough about this animal clinic. I drive from Navarre just to go here. They are the best around. I love the doctors, the girls and the groomers. They are definitely there for the love of the animals. I have gone to 3 other vets and not one of them come close to being as loving and passionate about their animals as they are. Love love love them. Wouldnt trust anyone else with my fur baby. Thank you for all you have done for my family and I. We appreciate you from the bottom of our hearts." "We have taken our dogs to Companion Animal Hospital for at least 20 years. Dr. Epperson and all of the staff are terrific. They've seen us through the good times and the sad times and I highly recommend them."